Looking for a quick, easy and delicious meal for dinner tonight? 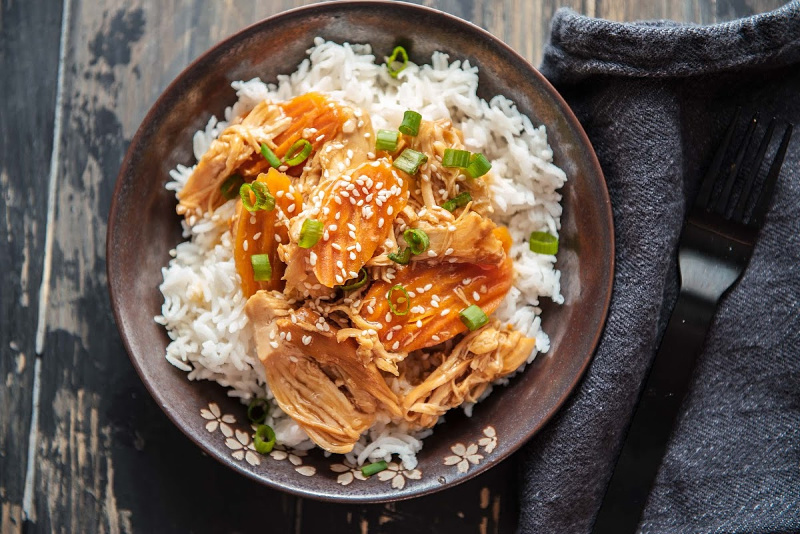 This instant pot teriyaki chicken is a delightful option. 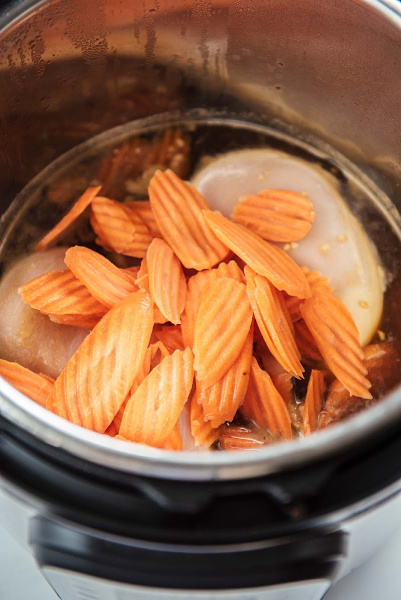 This classic Japanese dish is quickly made and the chicken is ready so quick with the instant pot. 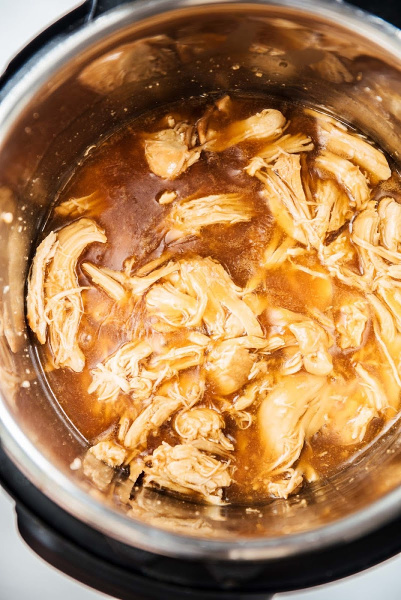 Mixing together broth, soy sauce, honey, vinegar, brown sugar, garlic, and ginger gives this instant pot teriyaki chicken a slightly sweet taste. 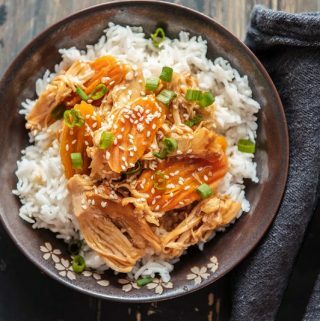 This delicious meal is perfect for a quick dinner idea when you have a busy day of school stuff and evening schedules with the family. I love that you can easily get this set up and completed in about half an hour. 1. 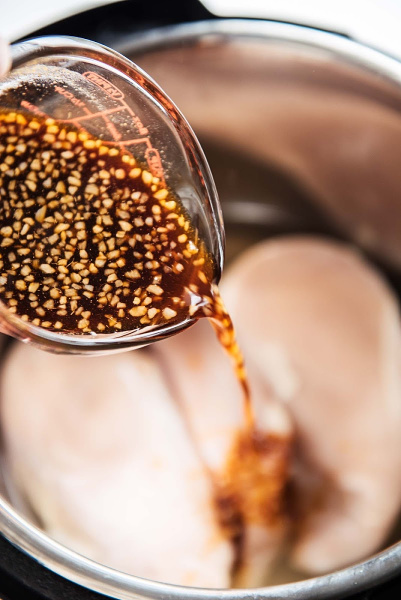 Garnished with toasted sesame seeds and green onions or as desired. 2. 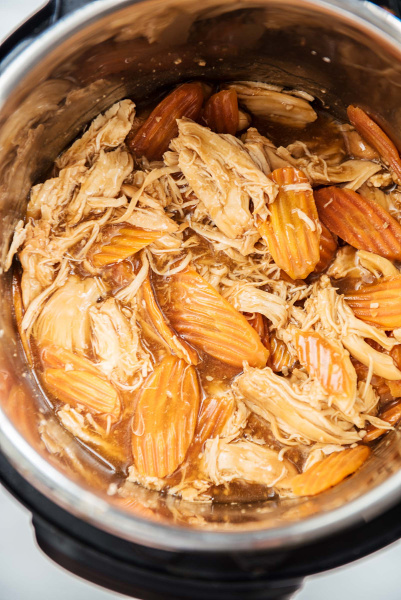 Chicken can be diced before cooking if desired instead of shredding. Adjust the cooking time to 8 minutes. 3. Delicious served over steamed jasmine rice. This is a Japanese dish is quite frequently ordered when dining out. 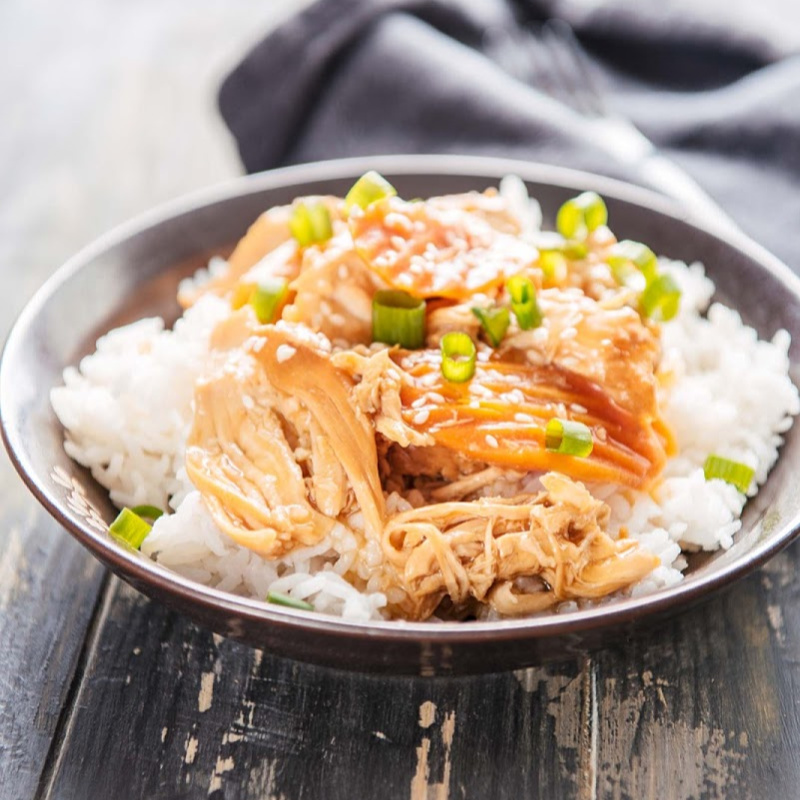 Why not give this instant pot teriyaki chicken a try at home and see just how delicious this homemade meal will taste, plus it’s super tender so anyone can eat it up. 1. 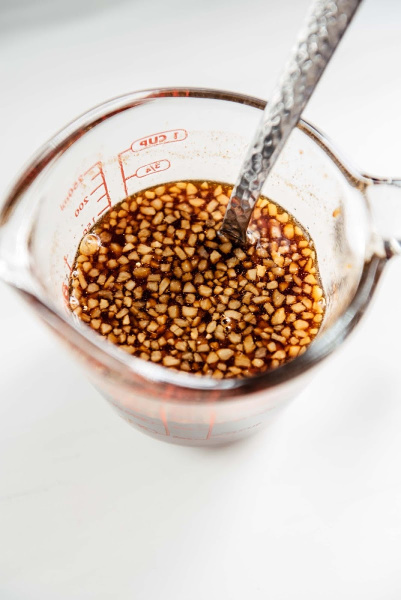 Garnished with toasted sesame seeds and green onions or as desired. 2. 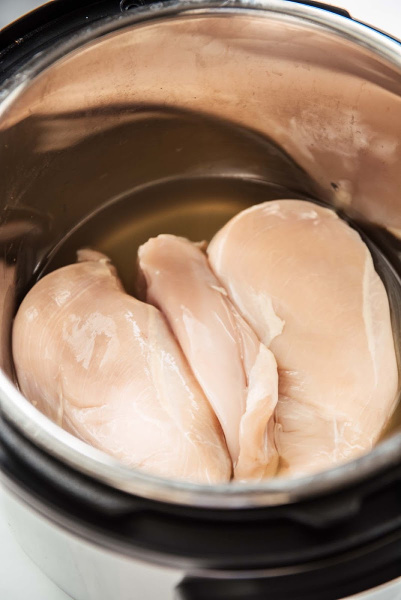 Chicken can be diced before cooking if desired instead of shredding. Adjust cooking time to 8 minutes. 3. Delicious served over steamed jasmine rice.